Chaos to Control — When you enter a new channel it’s usually chaos. There is a learning curve on how to best communicate within a channel and how to engage. The first order of business is usually controlling the chaos: tracking and managing tickets, and delivering a consistent and effective customer experience in the channel. The reality is though that mobile is not really a new channel. It’s a new environment, but it encompasses most of the channels you’re already using. So the key for starting to support mobile is to not treat it as a separate engagement environment. You can start out by continuing to use the channels you support today. Just be present and listen. More important than adding new channels and capabilities is to maintain a single system of record across mobile and any other channels you support, to ensure you have a single view of the customer. Reactive to Proactive — The newest channels for support have changed the paradigm. For a long time customer support has been a one-to-one interaction. With social media, conversations have moved from one-to-one– email, phone, chat – to many-to-many. On social media platforms like Twitter and Facebook your customers are announcing their desires or problems to the world. Support is no longer about reacting – waiting for the phone to ring. Your customers are taking to social, whether you want to be there or not. Similarly, being proactive in mobile means being there, delivering a native experience. It’s not just about providing access to existing tools like your knowledge base or email. You need to consider the unique qualities of mobile platforms and the habits of mobile users, to make it easy for them to get what they need, at the time and place they need it. This is also where you can insert proactive messaging in your apps to avert issues you know are likely. Scale — As you learn the rules and idiosyncrasies of a new channel the next challenge is scale. You need to be able to extend the level of support you have on your best channels to the new channels. And, of course, you want to do this without having to hire a large new team. Technology can help here. The caveat is to leverage technology to enhance the experience rather than put more layers between you and your customer. Knowledge bases will enable your customers to find answers themselves, if you make them easy to access. Channels like in-app messaging that feel native to mobile and allow agents to handle multiple tickets at once work well here. And automations can help those agents manage that workload. Aligning With Business — Once you’ve gotten your tools and processes in place and your mobile support is humming, then you can begin to think more broadly about making an impact across your company. 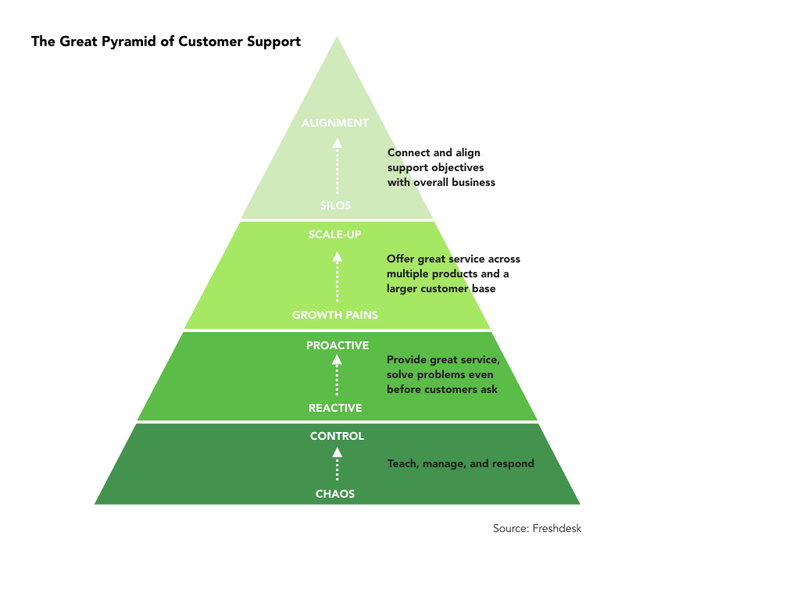 Is your support organization aligned with the goals of your customers and your business? Great customer service has the ability to do much more than solve customer problems. If done right, it can extend the value of the brand and create brand advocates. It can also be your best channel to provide feedback and insights to help guide your company’s plans. Be sure to collect data and setup a feedback loop in line with other support channels, and ensure the connections with other critical parts of your organization. This is also where you should be making sure that the systems and tools in place are working for your team and that they are engaged and happy.